Cooler temperatures and continued rain have extended Southern California's Super Bloom 2019 and you can still see fields of wildflowers carpeting the area. USATODAY 10Best is featuring our photo gallery of images captured recently during our wildflower search through Southern California. We invite you to enjoy our virtual gallery of SOUTHERN CALIFORNIA’S SUPER BLOOM. Nestled on 500 private acres in a secluded valley in Vista, California, 40 miles north of San Diego, the Cal-a-Vie Health Spa is an exclusive retreat that boasts 32 Mediterranean-styled guest villas and suites with a 5:1 staff-to-guest ratio. It’s not wonder it is has long been welcome retreat for a long list of Hollywood stars seeking wellness in a peaceful and remote setting. Guests rejuvenate through the resort’s fitness programs, spa treatments, nutritional guides and more. Owned by philanthropists and entrepreneurs Terri and John Havens, the couple modeled Cal-a-Vie’s design to reflect the family’s trips to France. This Provençal style is mirrored throughout the spa, which is decorated with countless French antiques and original 18th century buildings acquired during the Havens’ French buying trips. Enjoy our USATODAY/10Best PHOTO ESSAY of our experience. Since a picture is worth 1,000 words, you might also want to take a closer look at our comprehensive PHOTO GALLERY of this picturesque enclave. I think you’ll agree, this luxury spa, tucked away in the hills of Southern California, combines a comprehensive wellness program with a stunning Old World ambiance that is truly unique.. If you can't get to the Galapagos anytime soon, Channel Islands National Park is the next best thing! Often referred to as the “Galapagos Islands of North America,” Channel Islands National Park encompasses five ecologically rich islands located just off the Pacific coast of Southern California. Its location makes it one of America’s most remote National Parks, but also one of the most spectacular in untouched natural beauty. Santa Cruz is the largest of the islands in the park and boasts the greatest number of plant and animal species, as well as the tallest mountain peak, in the chain. In the winter months, Catalina Island, located just 22 miles off the coast of Southern California, is a perfect winter visitor destination, especially during the holidays. A photo gallery is currently featured on USA TODAY's 10Best home page. Fall and winter are the perfect seasons for a visit to Catalina Island, located just 22 miles off the shore of Southern California. 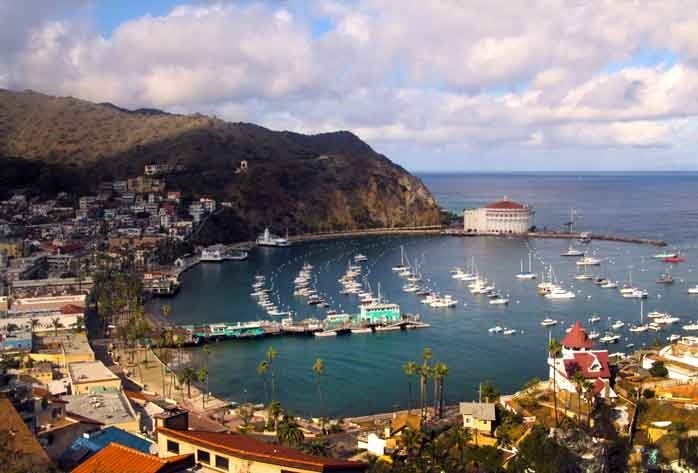 Summer crowds are gone, and Catalina is relaxing, romantic, and filled with all sorts of activities and events for every taste. Read how my husband and I spent our December birthdays on this magical island. San Diego Union-Tribune, Catalina Without the Crowds, October 18, 2015. See a complete PHOTO LIBRARY of all the images of this trip to Avalon and the Catalina Backcountry. remains a world apart from the hustle and bustle of the mainland. The town of Avalon, founded in 1887 as a seaside resort, evokes a charm that is undeniably unique and captivating. It's no surprise that it was a favorite stomping ground for the rich and famous over the decades. View a SLIDE SHOW to see this magical island through my eyes (and camera lens)! Those of you residing in--or visiting--Southern California might want to add a trip to the Channel Islands to your travel itinerary. This chain of islands, which includes the popular and historic Catalina Island, is often referred to as the "Galapagos of North America." 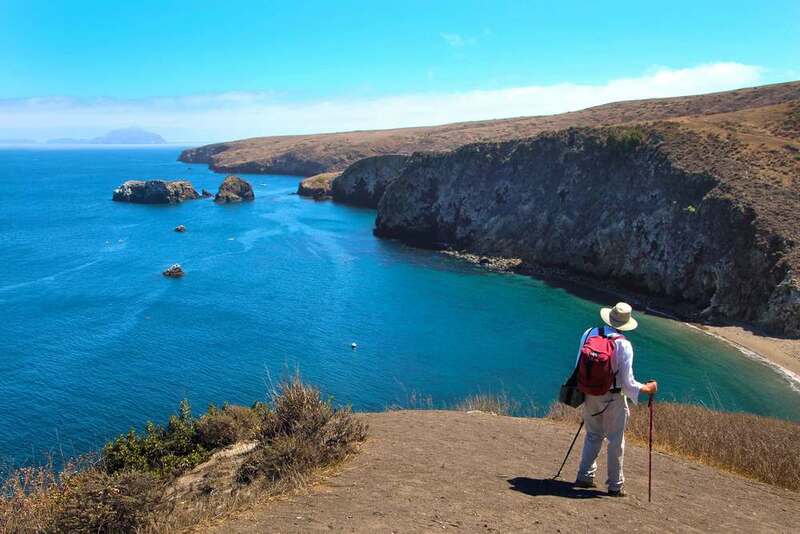 This article highlights a day trip to the ruggedly beautiful and pristine Santa Cruz Island, located just 35 miles from Ventura, California. The Southern California coastline is dotted with luxury resort properties ready to welcome leisure and business travelers-- such as the St. Regis Monarch Beach Resort in Dana Point. 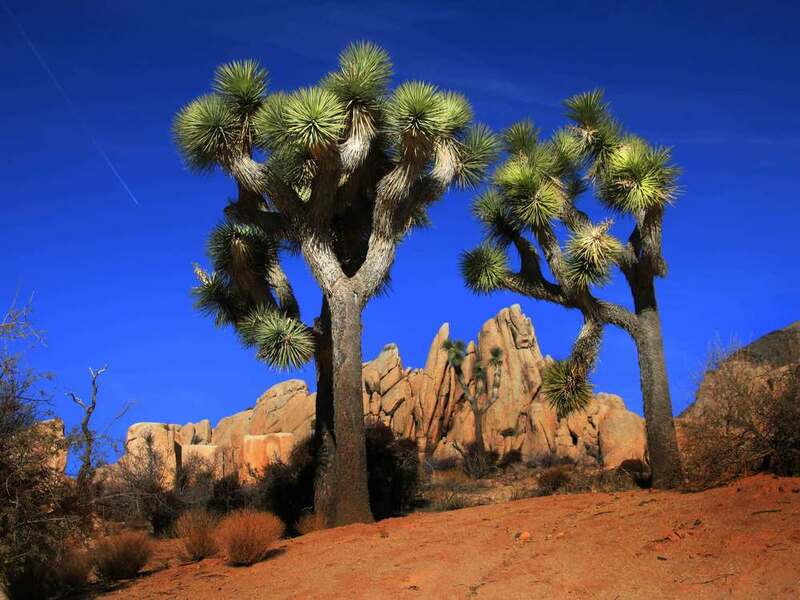 Located 90 miles east of San Diego, CA, Borrego Springs welcomes visitors from around the world who flock to the Anza-Borrego Desert State Park in spring to marvel at nature's display of desert wildflowers. 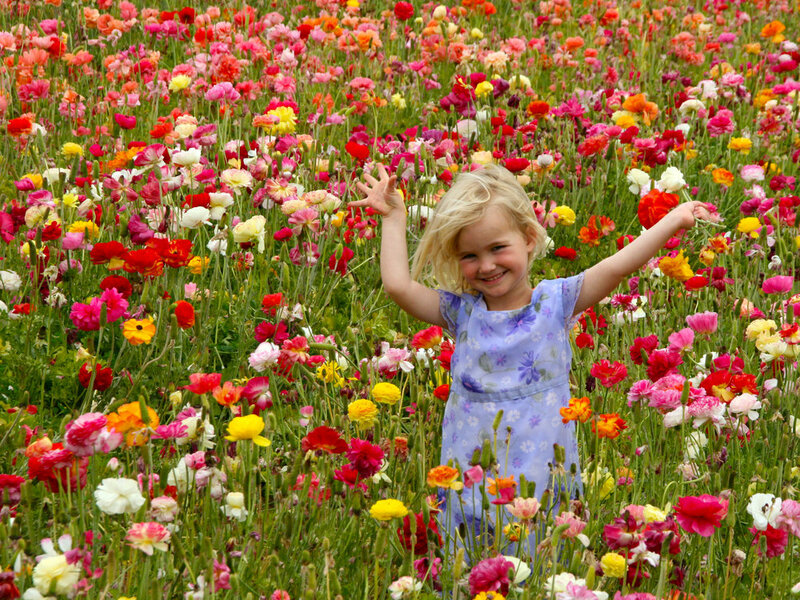 View the wonders of Borrego's spring flower display on USA TODAY's 10Best.com. For a complete gallery of images, visit my ANZA-BORREGO DESERT STATE PARK photo gallery. 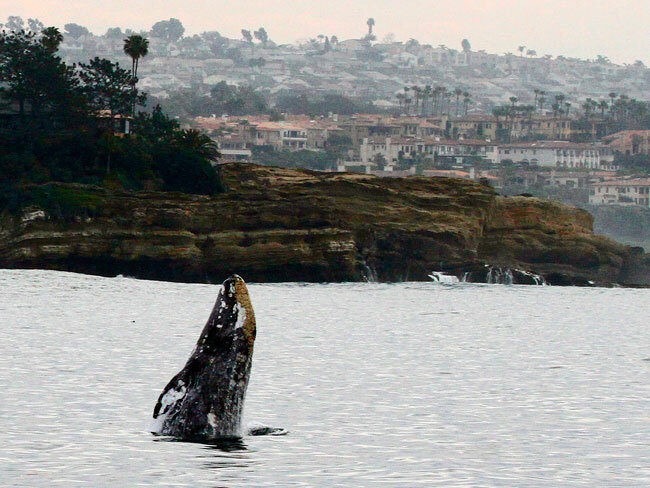 Winter marks the beginning of whale watching season in Southern California. From January through April, Pacific grey whales can be viewed relatively close to shore as they make their way to mate and calf in the warm lagoons of Mexico's Baja California. Whale watching cruises, many of which offer unique experiences, are available from ports along the entire Southern California coast. Where in the World is Oxnard, California? Despite its unusual name, Oxnard is a hip, happening, and affordable visitor destination in southern California. Located an hour north of Los Angeles on California's Central Coast, Oxnard boasts seven miles of white sandy beaches, a picturesque harbor, farm-to-table international cuisine, outstanding museums, wine tasting, and a historic downtown district. See all that Oxnard offers the visitor on our 10Best/USA Today Link. Long famous for its natural mineral hot waters, Desert Hot Springs, California is a short drive north from Palm Springs. Enjoy this USA TODAY/ 10 Best photo show of the delights of this emerging boutique spa destination. Explore the beautiful beaches along Southern California's Orange County coastline in my USATODAY/10best photo gallery. The international web site USA TODAY 10best.com recently published my Orange County California photo show, which exemplifies all there is to see and do in the region. Although best known internationally as the birthplace of Disneyland, Orange County offers a wide variety of visitor attractions, from stunningly beautiful beaches, incredible mountain scenery, and dozens of communities that offer their own brand of the Southern California lifestyle. The famous Mission at San Juan Capistrano reflects the history that can be discovered in Orange County, California. It's hard not to feel romantic in Coronado, located just a few minutes from downtown San Diego via the dramatic Coronado Bay Bridge. Get some romantic ideas at my USA TODAY/10Best photo show. The mountain communities of California's San Bernardino Mountains are less than two hours away from the metropoles of Los Angeles and San Diego, but a world away from the hustle and bustle of big city vibes. Enjoy my article, published in the San Diego Union-Tribune, on a fall family adventure in Big Bear and Lake Arrowhead. Check out my USA TODAY/10Best photo gallery on the region.